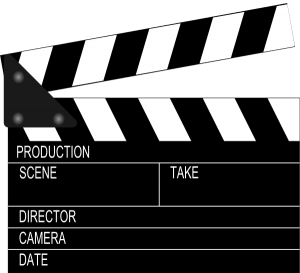 In most industries, videos and commercials are the best way to communicate with your customers. YouTube is the second largest search engine AND owned by Google. They continue to gain momentum with the enormous amount of videos posted every day. Why are videos and commercials so popular? Because it’s more fun to watch a video then it is the read a paper PLUS your customer is familiar with you and the services you are offering before your first meeting. There are so many creative ways to use videos to promote your business. We will post the videos on your YouTube channel and also on your website. FLIP Marketing and SEO will help you from the Idea of your Videos and Commercials through Production! We will help you come up with the theme of your video, help write the script, help visualize what the final product will look like (what type of graphics will be used and what type of camera shots are needed) and coordinate the camera/production crew to come for the video shoot. We will be present to assist the day of the video shoot and make sure all shots and angles are perfect to execute our vision properly. We will then sit with the production crew and help in the editing and proof process. You will be emailed with a preliminary video which you can comment on. Once the videos are approved FLIP will help post everything to your YouTube channel and get the video in the appropriate space on your website. Video can be used in MANY different ways depending on what your target customer is. If you are a bakery or restaurant that makes their food from scratch you should show videos in the kitchen of the chef creating his/her masterpiece and also show the dinning area and guests enjoying the eatery. If you are a law firm, you can have the attorneys talk about their specific area of law or you can have a client do a testimonial about how great the firm is. If you are an auto body shop you can show your shop, show how your workers do some of the work and explain why your shop is better then the others. Try to think of what your customers what to know about your business. A “talking head” reading from a script never makes a good impression – so we will help you think Outside the Box!